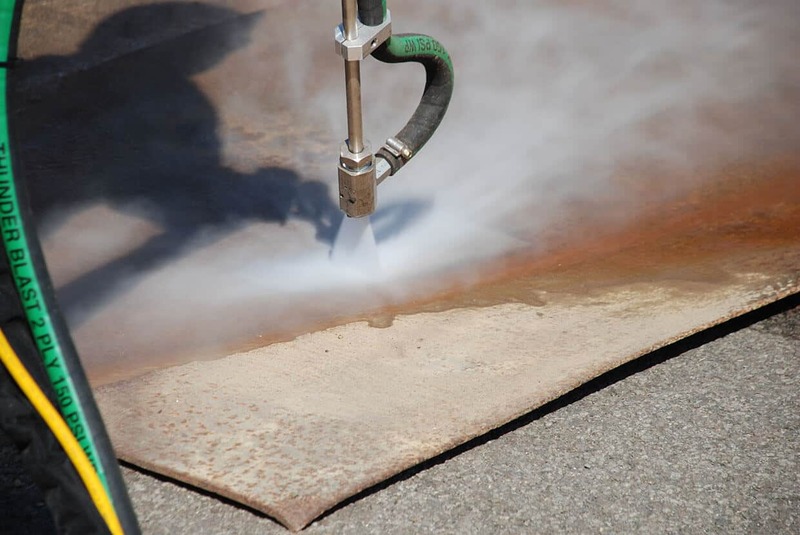 Airblast Eurospray blasting machines are used worldwide in a variety of applications. Whether it's offshore, marine, civil, general engineering and maintenance, or building and stone cleaning, Airblast Eurospray closely monitors and recognises the needs of the industry. Read on to find out more about blasting machines that offer all the features that professional users require. 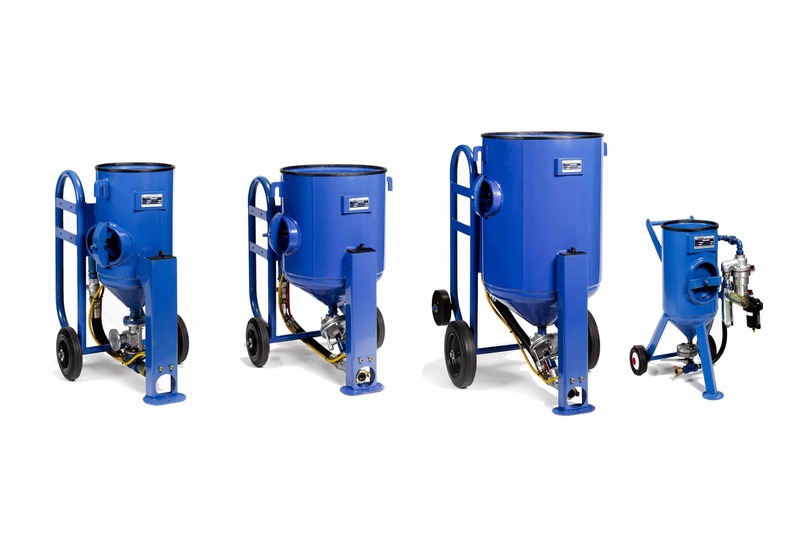 Blasting machines have come a long way since the early days of sandblasting, and Airblast has spearheaded a range of innovations to bring the technology into the twenty-first century. All machines are fitted with a well-designed and reliable one-piece, remote control deadman system with silencer, for operator safety and comfort. 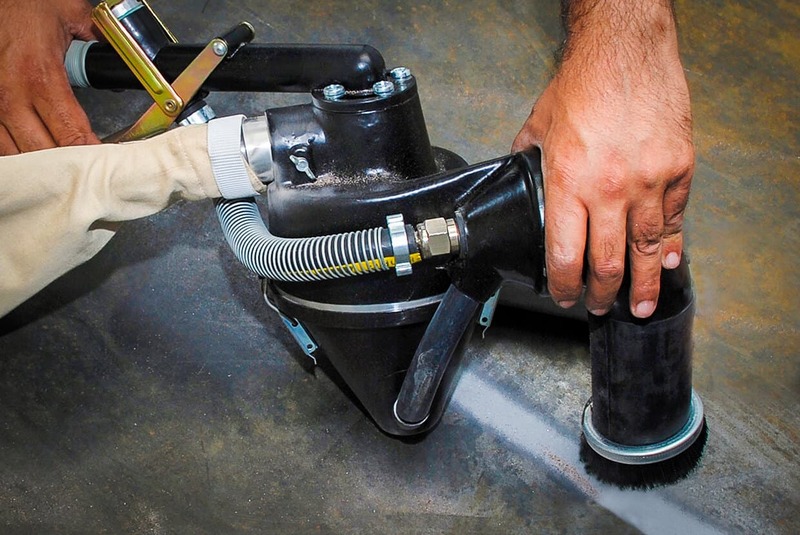 This feature reduces labour costs, increases productivity, and reduces abrasive costs. Available with either steel grit valves or expendable media valves, they also include a moisture trap, to eliminate possible problems with wet air or condensation. 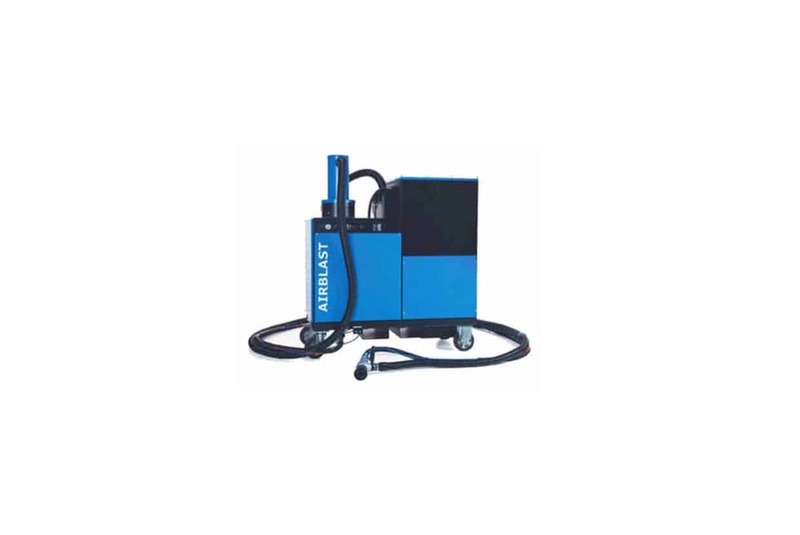 Airblast blasting machines are designed to be used with a comprehensive range of accessories, including nozzles, wet blast attachments, internal pipe cleaning devices, closed circuit blasting heads, and more. Heavy gauge pressure vessel fabrication, tested to 13 Bar (190 psi) giving a safe working pressure of up to 10 bar (150psi). All machines supplied with full international pressure certificate. Piping on all machines is 1 1/4″, with long-life rubber lined parts fitted where necessary (except the 1028 type which has 1/2″ piping). Free moving, heavy duty pop-up valve gives instant response to pressurisation, even at low working pressures. Concave top and conical bottom allows rapid easy filling and ensures free flowing exit of all types of media. Large inspection hatch with quick release for ease of inspection and servicing. Full range of metering valves including flat, expendable grit valve (EGV) giving unrivalled economy with expendable abrasives and steel grit valve (SGV) with replaceable liner for recyclable abrasives. Machines are fitted with large rugged wheels for maximum mobility on site. For stationary applications, please see our range of Blast Cabinets. 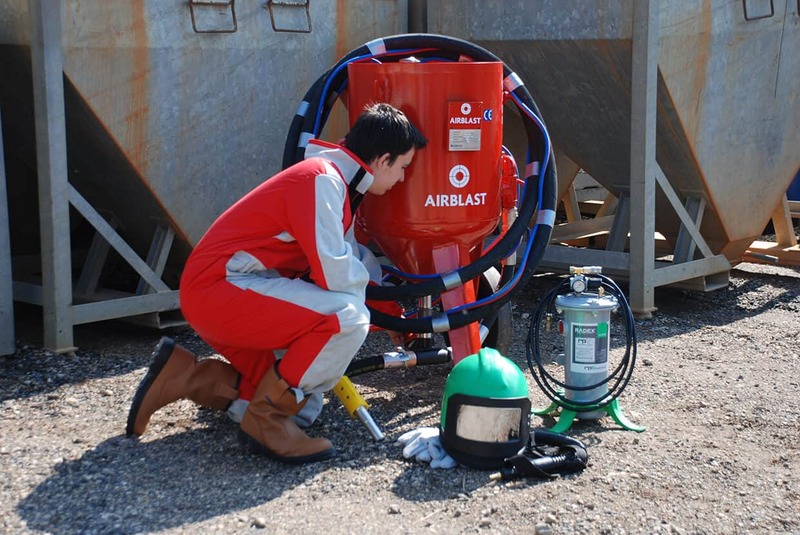 Airblast Eurospray blast pots, plus a range of equipment, parts and spares, are available to buy online here. 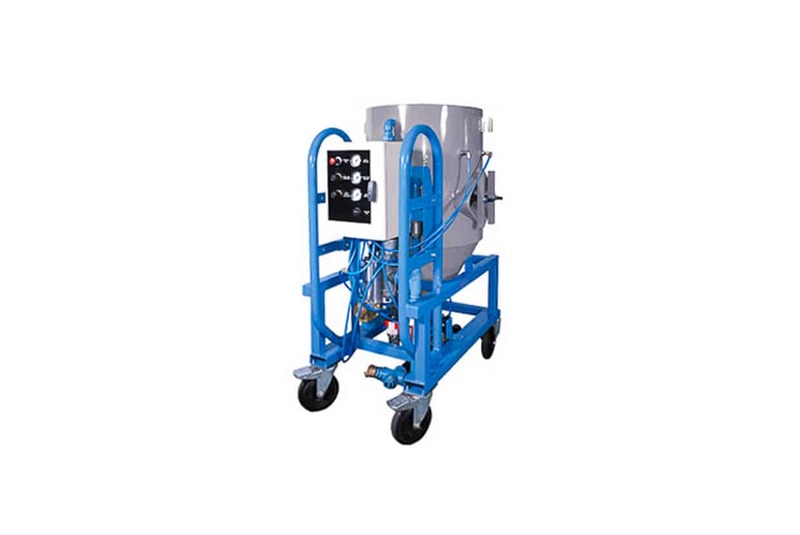 The AB-1070 vacuum blast machine is an easy to use, versatile, and powerful blasting solution. 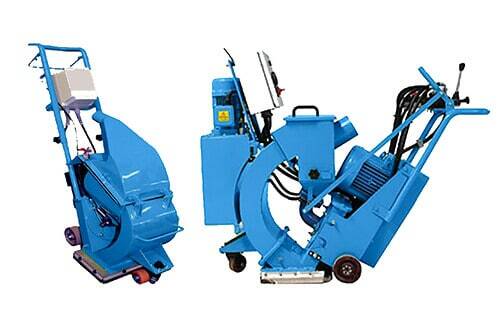 The AB 265 abrasive preparation machine provides productivity & minimal maintenance. 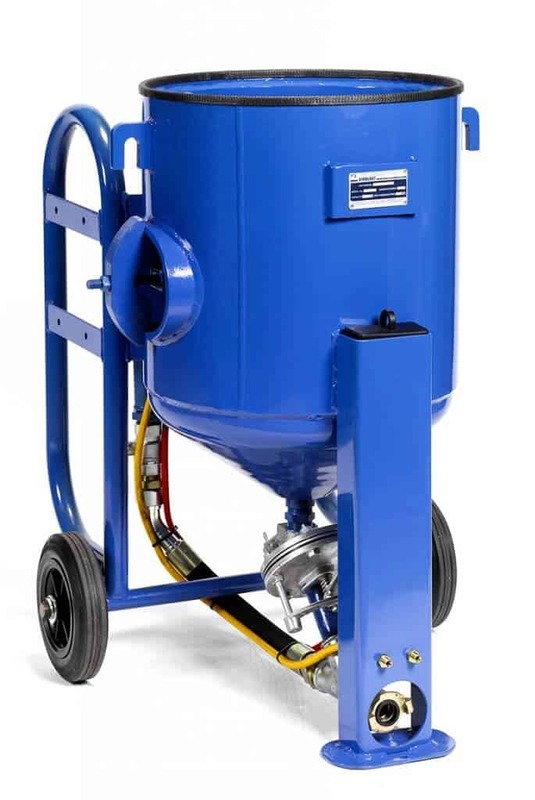 The Eductomatic is a hand portable closed circuit blast system which brings you all the benefits of abrasive blast cleaning in a closed circuit operation.